This past week was a very busy week! Jim worked through the weekend at the hospital in Juneau, so he could wrap up his work and still catch an 8 p.m. (Alaskan time) flight home on Wednesay. For me, it was family stuff and prepping to roam again. 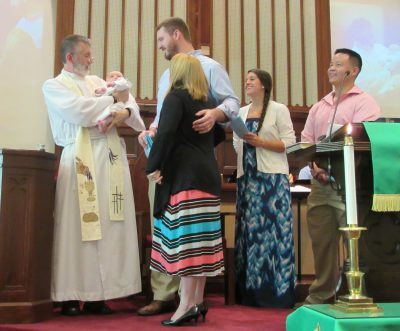 Last Sunday was our youngest grand’s baptism, and it was a grand day. Little Hershel Luke was so good and family enjoyed the day. 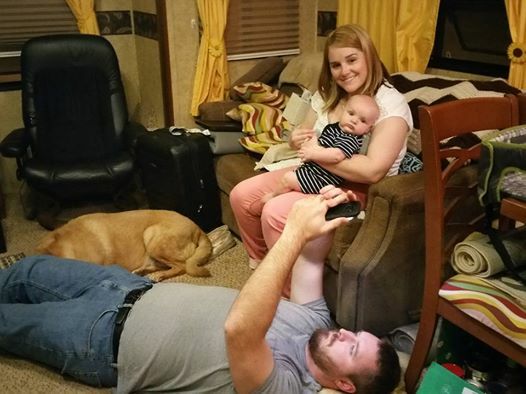 Hershel’s Dad, our youngest son Nathaniel, had the presence of mind to do a live stream via Facebook, so those who could not be there, like Jim, could still watch it. 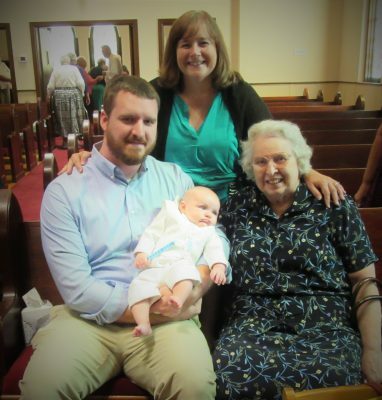 Monday through Wednesday and part of Thursday was mostly devoted to getting arrangements made for my mom (pictured above in the four generation picture). I’ve been no farther away than a two-hour drive from Mom in years and years except for a couple of short instances, like our trip to the northeast this summer. Brother was on duty then, but he has a job that requires travel also. In the last couple of years, Mom’s health has declined. She has diabetes, moderate arthritis in knees and back, vision problems, and other health issues. 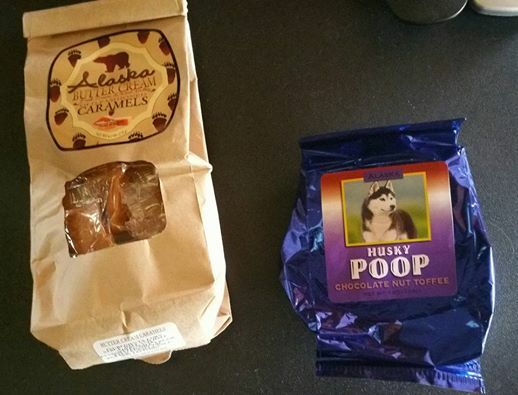 I knew that I could not be over six hours away without planning some additional help for her. We’d already obtained housecleaning services a few months back, and she has had a life alert system in place for several years. Although Mom wants to be as autonomous as possible, she finally agreed to my brother and I taking over some things like paying bills. We had Power of Attorney and an Advance Health Care Directive drawn up also. She recently asked for assistance with filling her insulin syringes, so I had to hurry up and arrange for Home Health to come in weekly to do this for her. The first nurse’s visit was Thursday – the day before we pulled out. The nurse will come weekly. In addition to the house cleaner and nurse, we also have another care giver coming bi-weekly to do many of things I did for her. Of course, my brother is just a bit over an hour away, in case of emergency, and he is also on “critter duty.” Mom’s house has a root cellar underneath, and ground hogs and such enjoy trying to make it their den for the winter. Jim got home about 10:30 Thursday morning, and I don’t think the dog and I have ever been so glad to see him. After flying all night, he needed a shower, lunch, and a nap. Jet lag and working way too many hours with little sleep while also getting over being sick was taking it’s toll. While he was awake, we visited. While he slept, I met with Mom and the Home Health nurse, did his laundry, and began stowing and bungeeing cabinets in preparation for moving. Friday morning, we got up early and finished prepping to move. There was a dense fog (when we got up it was visibility in yards), so we waited until we had between 1/4 and 1/2 mile visibility before leaving. We still made it to Savannah before lunch and got the camper to Shelby RV for checking out issues and minor repairs and then we ran business errands and had lunch. 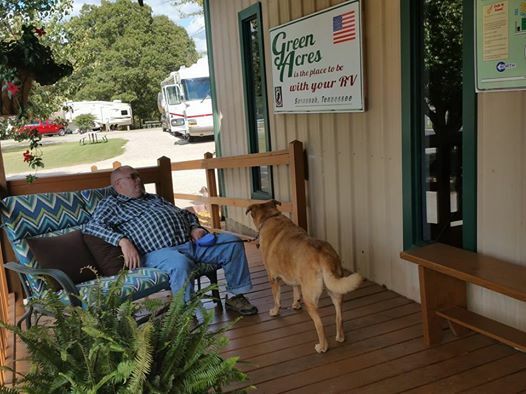 When we actually arrived at Green Acres, we felt so loved. Diane and Larry Frisbie and their trusted employee Danielle had placed us in the site next to the office and already had a table cloth on the picnic table. 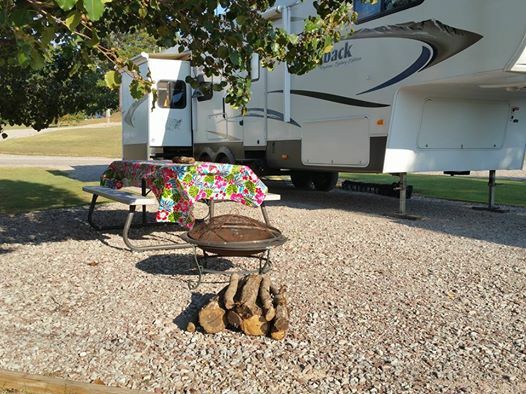 They had also set the site up with a fire pit complete with wood and fire starter. These folks are so awesome. 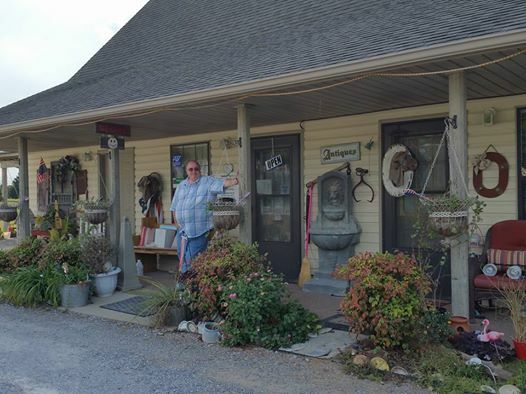 We began as one of their customers, but now we count them all as good friends. Actually, we are closer to where little Hershel and his parents live at Green Acres than we were at Texas T, so the added bonus of being here was that Hershel brought his parents with him to come see us, have supper together, and visit. 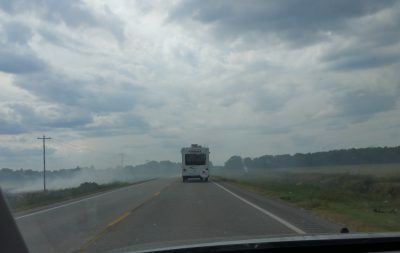 After a quick wash of the RV and a few little issues, we were on the move again headed for Batesville. With only stops for potty breaks, fuel, and drinks, we traveled all day, skipping a true lunch. 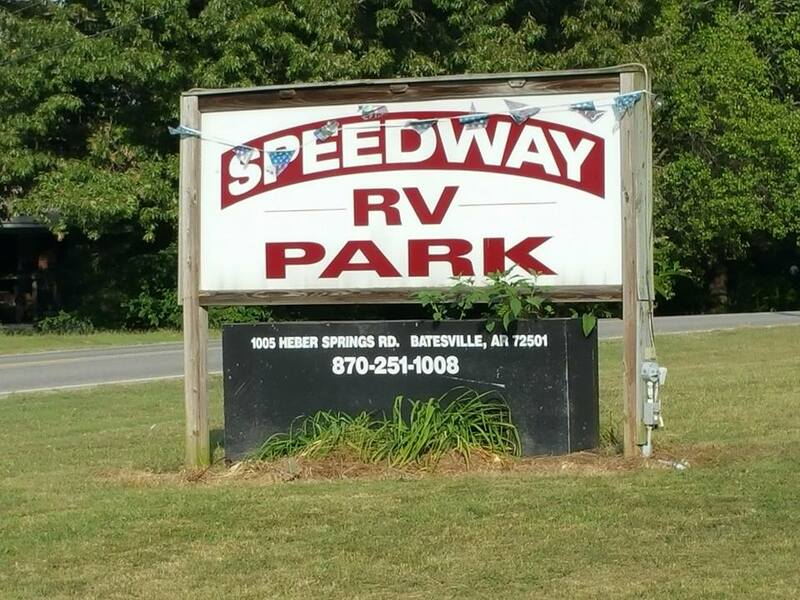 We arrived just before the office closed at Speedway RV Park in Batesville. The drive after entering Arkansas was interesting, and it was hard to breathe at times. Most of our travel was through flat farm land where farmers were harvesting crops. Although a Tennessee farm girl, I had not seen what they were doing before; they were burning the shaft, or whatever you want to call it, remaining in the fields after harvest. The horizon was filled with smoke as was the air. 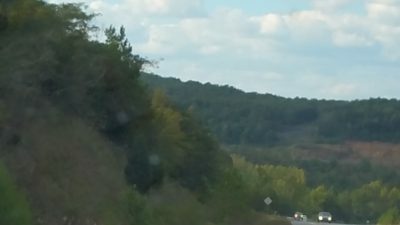 Just a little bit before arriving in Batesville, I smiled as I saw the terrain change from flat land to mountains covered with trees. 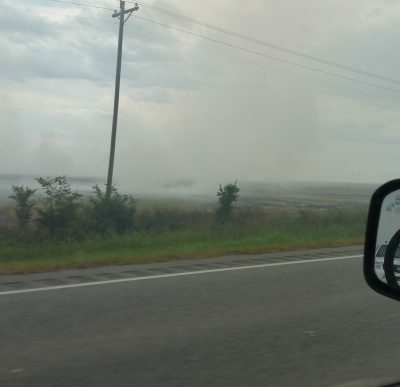 Fields on both sides are under controlled fire. We got set up before dark, and we were happy to find a restaurant next door because we were hungry and tired. Today begins a new adventure as we are in our temporary home on the roam.